Hidden Fees When Buying a Car? Leave ‘em in the Dust! Buying a car can be stressful. After you find the car you want, then you have to negotiate the financing. The best advice to navigate the hidden fees when buying a car: enter the finance manager’s office fully prepared. Know the terminology, carry a fine print detective, and don’t be afraid to negotiate. Now, you could spend the next year of your life learning about car dealership practices, financing options, and negotiation tactics. Or, use these tips to ensure that buying a new car leaves the hidden fees, not you, in the dust. It is absolutely recommended that before you even begin shopping, you do your homework. Know your financing options and your credit score before entering the dealership. You may be able to get pre-approval for an auto loan from a local credit union. And if not you will at least know what options you have and how the dealer’s offer compares. Some of the terms and hidden fees to look out for: processing fee, advertising fee, floor plan fee, vehicle registration fees, title fee, license fee, compliance fee, emissions testing fee, documentation fee, and destination and delivery fee. Though sometimes warranted, these fees can ridiculously cover many areas. For example, the the destination and delivery (or D&D) fee pays for shipping the car from the manufacturer to the dealer. The floor plan fee covers the cost of keeping the car in the dealer’s inventory. And the advertising fee accounts for the cost of getting you into the dealership to see the cars in inventory. 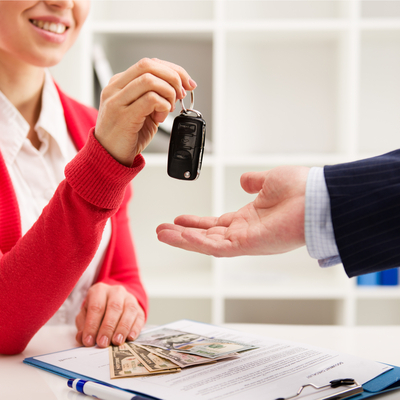 When it comes to the auto loan, watch out for added services and fees from dealers too. The most common include GAP insurance, credit insurance, extended warranties, and novelties like anti-theft devices, or prepaid oil changes and tire rotations. You can try to negotiate or pay for a warranty with cash, though most experts advise to see how the car operates before you get an extended warranty. These costs are small on their own, but can really add up. And, although it’s not necessarily one of super secret or hidden fees when buying a car, don’t forget to account for state and local sales taxes in your car-buying budget. These days knowing all the hidden fees when buying a car isn’t enough, you have to be able to find them in the fine print. The legality and specifics of fees can also vary depending on your state, other local legislation, and whether you’re buying a new or used car (used car dealers usually charge more). So, it is highly recommended that you get a tool like FeeBelly to help you out. Before you sign a document, scan it and let FeeBelly have a look for some of the aforementioned terms. The stress of the financing office is diminished when you’re carrying an app that prevents anything from slipping past you. Dealers aren’t obligated to offer you the lowest rate. In fact, they might be rewarded (with a bonus or vacation) for getting you to sign a bad deal. “What most people don’t realize is that dealers do not finance the car loans. They simply arrange financing using their relationships with banks, financing companies, and in some cases their manufacturer’s captive finance company.” The dealer actually splits the profit or ‘dealer reserve’ with the finance company. So, don’t be fooled by the shine of the car or the shine of the smile that’s selling it. Mentally prepare to negotiate, not sign, when you walk in (with your homework and secret weapon in hand). Do not be afraid to insist on fees being lowered or removed. Sometimes fees legitimately can’t be removed, but if it looks like you’re ready to walk out on the deal, circumstances may change. 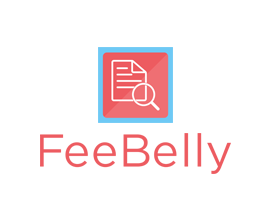 FeeBelly is a contract review app that catches hidden fees and costly terms buried deep in the fine print. For FREE. In just three easy steps, you can start enjoying the benefits of this fee-sniffing app. 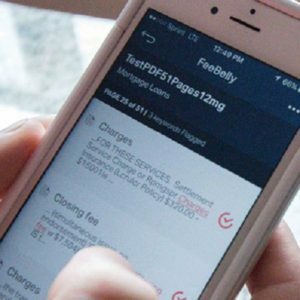 Select the document-type, choose the keywords you want flagged, and scan the document or import a PDF to FeeBelly with your smartphone. From there, FeeBelly does the due diligence for you. Never worry again about what you might have missed in your financial agreements by downloading now. Did someone say “Auto loan, here I come!”?